Do yourself a favor and tune into Michelle Wolf's new comedy show, The Break. Wolf was the comic who performed at the White House correspondent's dinner and addressed numerous 800 pound gorilla's in the room. Now this is what comics do, especially at a roast, but it got some people all riled up. For a while, her route was not only a Dumb Issue, it became a major Dumb Issue. All the uproar was over something Wolf didn't actually do. Anyone who's ever seen Sarah Sanders is aware her eyes don't always track in the same direction. This isn't a big deal unless you're face to face with her and don't know which eye to look into. Apparently this was an 800 pound gorilla for a few White House correspondents. When Wolf did her bit about Smoky eye, all they heard was "eye" and out came their outrage. 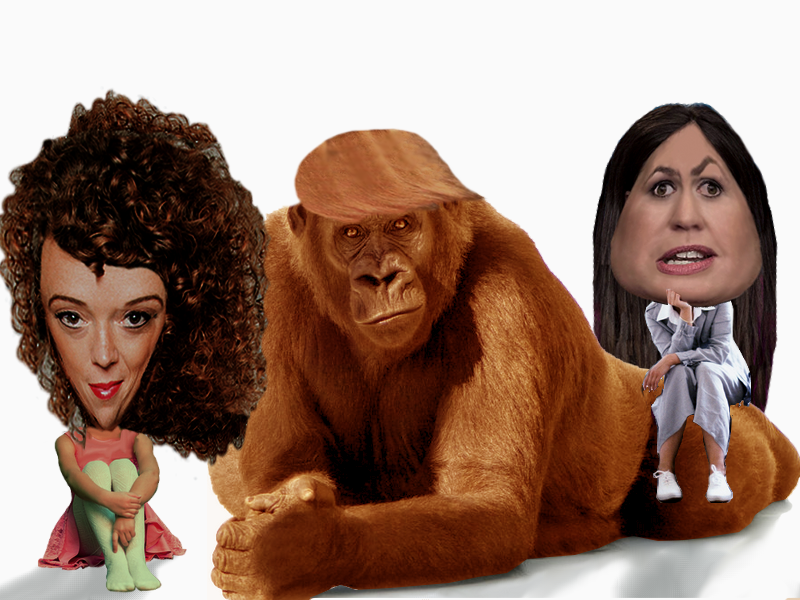 IMHO, the White House correspondents who felt the need to voice their indignation about Michelle Wolf's jokes were probably trying to curry favor with Sarah Sanders. The White House's hostility towards the press has changed how some correspondents operate. Michelle survived the hate aimed her way and continues to go after 800 pound gorillas on her new show, The Break which premiered today. There's a trailer for the show below, along with the video of her White House Correspondent's Dinner performance. The Break streams on Netflix. Check it out. Everyone needs more laughter these days.